Our popular Jack the Joker Fundraiser will continue this Sunday night in Kennedy’s Live where the Jackpot will be €2,664 as on Sunday night Ger Dracy was drawn out of the drum and picked card 43 but did not find the Joker, yet he did win €50. Breda Veale and Kay O’Connor won €25 each. We played Ballinameela on Sunday afternoon last in Fraher Field in the County Championship and came away with a good win. TEAM: S. ENRIGHT, D. COLLINS, R. SHEEHAN, S. BRIGGS, B. LOOBY, S. O’HARE, R. FOLEY, J. HURNEY, C. MOLONEY, M. O’HALLORAN, M. FERNCOMBE, S. O’DONOVAN, M. GORMAN, J. O’BRIEN, P. HURNEY. SUBS: G. BREEN, M. FIVES, J. RYAN. On Friday evening last we played our final group game of the Western Championship and unfortunately we were defeated by The Geraldines. TEAM: R. RYAN, S. O’CONNOR, M. POWER, S. O’GORMAN, N. DEE, E. ENRIGHT, J. RYAN, L. HURNEY, L. MULHERANE, M. MAHER, J. MOORE, S. KEARNEY, D. POWER, S. CROTTY, D. FERNCOMBE. SUBS: T. McGRATH, J. O’RIORDAN. This Friday night we play Cappoquin in Bushy Park at 7:30 pm. We play Mt. Sion this Saturday in the Sargent Cup Final in Cappoquin at 4:30 pm. 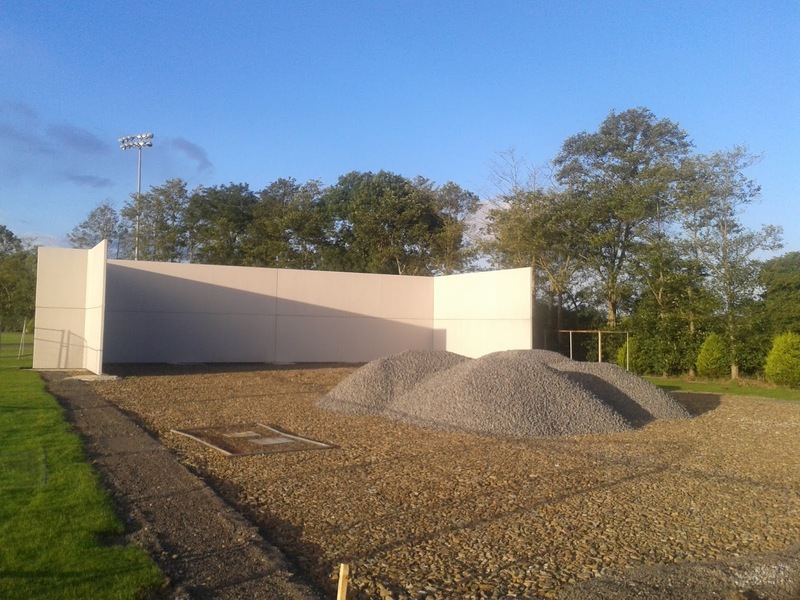 As any visitor to our club grounds lately can see work is progressing on our Ball Wall and it should be completed in the next few weeks whilst the pathway to our new grounds has also been laid. Our Bingo continues this Sunday night in the CBS Hall where the jackpot is €1200. On behalf of all in the club we would like to congratulate Martin Lavan and Emma Coleman on the birth of their daughter Darcy over the weekend. Any club member who requires tickets for the All Ireland Minor Hurling Semi Final against Kilkenny must contact Jonathan O’Donovan or Neil Moore by Friday evening at 6pm with their order. On behalf of all in the club we would like to send our sympathies to the Byrne family, Sea Park especially Sean Byrne on the death of his father James Byrne in Wexford last week. Sean is well known to all GAA people through his work as a photographer at matches but his family have a strong connection to our club. Sean’s sons played for the club whilst his daughter Sharon is our Children’s Officer and his grandchildren continue to play for our club. Once again we send our sympathies to Sean and all his family on their sad loss. Last Monday the 22nd our under 14 team played St Pats in the Western Hurling Final in Fraher Field. Our lads put on a good display of hurling and came away comprehensive winners. This was a positive start to what was a big week for this team. On Saturday the 27th they played in the County Hurling Championship Final in Walsh Park against De Le Salle. The two teams had met earlier this year in the Feile County Final which was a great game and required two periods of extra time for us to come out on top by a point. This time our boys played with great intensity from the throw in. In the first half we played against the breeze and went in at half time with a deserved 2-5 to 1-2 lead. The second half started with some excellent skill and determination and despite De Le Salle closing to within 3 pts with 6 minutes to go our boys never lost their composure and pulled away again to record a 3-13 to 3-4 win. This was a great team performance with some excellent scoring from the team considering all the Abbeyside scores came from play. This is the first time the club has won an under 14 division 1 hurling since 1997. This really topped a memorable season for this panel of players who during the year represented the county in both the Hurling and football Feile finals. Great credit must go to the players and their mentors, for their performance throughout the year, also a word of thanks to all the parents who helped out all year driving and supporting at the games. Panel: Aaron Beresford, Tommy Walsh, Shane Ahearne, Padraig Moore, Bearach Moore, Gearoid Hallinan, Tom Looby, Sean Crotty, Sean Whelan-Barrett, Shane Kiely, Ben Flynn, James Riordan, Jack Kiely, David Montgomery, Dean Beresford, Jamie Walsh, Mark Twomey, Meldan Dwyer, Daithi Brunnock, Johnny Treen, Michael Kiely, John Power. Our under 13 squad played their 3rd game in their hurling championship last Thursday night the 25th and had a good win against St. Olivers. 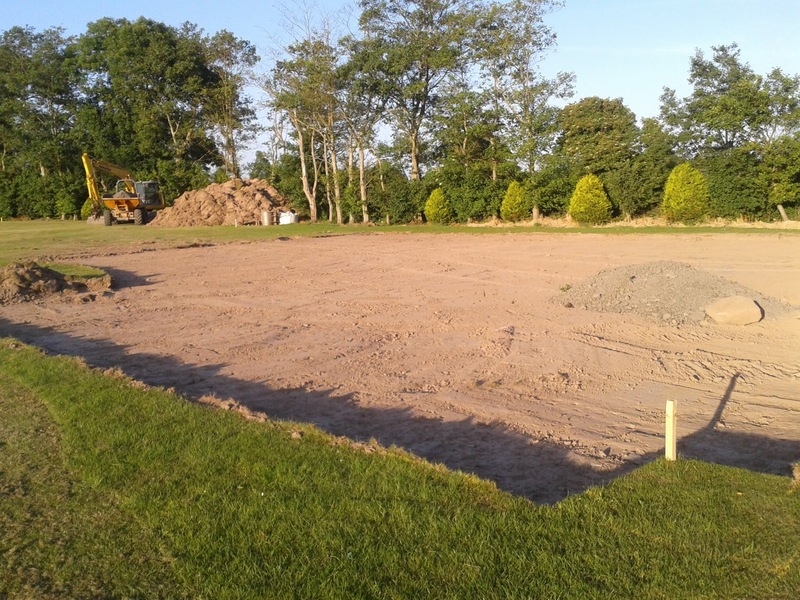 Next game in this is against Dungarvan in Abbeyside next Thursday 1st August at 7:00 p.m. 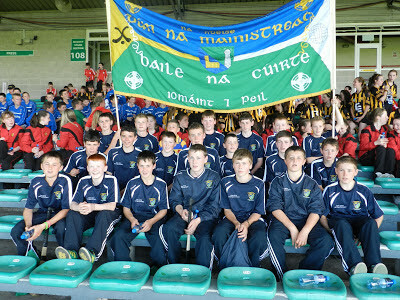 The Under 12’s travelled to the Gaelic Grounds in Limerick last Tuesday 23rd to play in the Munster hurling blitz. This was a great experience to play other teams from outside the county with all our players getting plenty of game time. After they finished playing Limerick midfielder Paul Browne was on hand to give the lads a tour of the stadium and gave them some insights to playing hurling at inter county level, spoke about training, diet, match days etc. On the way home the group stopped in Thurles to see the minor Munster Final between Waterford and Limerick. Despite the minor result they had an extremely enjoyable day. Our U9s travelled to Lismore on Saturday 20th July last for a hurling blitz. Eleven of the squad were available for selection on the day and each and every one was up for this challenge. From keeper to corner forward, all did their part throughout the day. Our boys reached the final of this event and what a match this turned out to be. Abbeyside v Bride Rovers of Cork stood shoulder to shoulder for the throw-in. The Cork side started the stronger of the two, but it didn't take long for our lads to get to grips with the pace of the game and at the half time whistle they were only trailing by a single point. Come the 2nd half and both sides went score for score at the start but the Cork side looked to be finishing the stronger after going 4pts up with only five minutes remaining. But the villagers dug deep and with their backs to the wall managed to claw their way back into the game and force a draw at the final whistle. No one player could take sole credit for this tenacious come back as it truly was a team effort. And so it was the case that Abbeyside were to take home the silverware on the day because of a higher scoring average throughout the tournament .Thanks to Lismore for the invite and for their hospitality shown to all visitors, during the event. Thanks also once again to the parents that travelled on the day, we all know that we witnessed a cracker. Players on the day were: Rian Cossie, Oisin Brazil (Capt), Fergie Slevin, Michael Walsh, Jack Kiely, Charlie Treen, Eoin Kiely, Jack McGrath, Sean Callaghan, Rory Tyrell and Charlie Gough. Well done to all involved. Our minor hurling team played their second game in the county minor hurling championship on Wednesday night last. Our opponents on the night were Roanmore and after a titanic battle we ended up losing this game by the slimmest of margins. This game also acted as the match used to play for the Kieran Lennon cup in memory of a man who did so much work for our club down throughout the years. Lucozade Sport is offering free match and training equipment and clothing. Just drop your caps into the Lucozade sports club collection bag in the club house or, bring to training. The more caps we collect the more gear we can get. For more information contact Carmel on 0872598923. Please get behind this free fundraiser and help our club raise its game. Back Row (L to R): Tom Meehan, Gusty Kiely, Maurice O'Connor, Tom Cowman, Jimmy Power (Capt. ), Tommy Crotty, Pad Veale, Mickie Kiely. 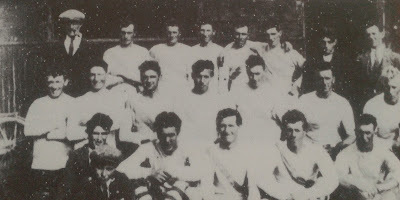 Middle Row (L to R): Paddy Moloney, Tom Fitzgerald, Jack Crotty, Tommy Kennedy, Ned Fitzgerald, Mick Carlton, Jack Carlton. Front Row (L to R): Johnny Landers, Patsy Cowman, Mikie O'Brien, Davy O'Connor, Jackie Bumster. Seated in Front: Thomas Meehan (mascot). This week's photo shows the Ballinroad Junior Football team that was defeated 3-2 to 0-2 by Poulavinogue in Dungarvan on September 1st, 1929. Defeat to the eventual divisional champions followed earlier wins over Kinsalebeg-Clashmore, Aglish and the Nire. Our popular Jack the Joker Fundraiser will continue this Sunday night in Kennedy’s Live where the Jackpot will be €2,426 as on Sunday night Mikey Tutty was drawn out of the drum and picked card 49 but did not find the Joker, yet he did win €50. Mike Kiely and Sarah Power won €25 each. To describe the inaugural Mary and Mollie tournament, which took place on Saturday last, as a success would truly be an understatement. Huge crowds showed their support not alone for the tournament but for the Walsh and Enright families by turning up on the day to enjoy the games. After some great games of football, which is a tribute to the girls involved such was the heat on the day, Abbeyside and Dungarvan competed for the Mary and Mollie Cup with Dungarvan emerging victorious whilst Inch and Moyle Rovers contested the Shield Final with claiming the Shield after a thrilling sudden death points competition. In his speech before presenting the trophies Pa Enright said that all the girls who participated on the day were winners and all of them were presented with a medal. As well as being a great day it was also a fantastic fundraiser for the Temple Street Children’s Hospital and we thank all those who supported this worthy cause on the day, by purchasing the t shirts. As I said already it was a fantastic day, and a fitting tribute to Mary and Mollie Enright and no doubt next year’s event will be anticipated by all those present on the day. Photos of the event can be seen by clicking here. We played The Nire on Saturday evening last in Fraher Field in the County Championship and came away with a good win. This Sunday we play Ballinameela in Fraher Field in our fourth game of the Championship. On Sunday last we recorded a very good win over Dungarvan in the Western Championship to leave us on two wins in this Championship. This Friday night we play The Geraldines where a win could see us qualify for the knock out stages. We play Roanmore this Wednesday night in the County Championship in Abbeyside at 7:30pm and this game is being played for the Kieran Lennon Cup which was presented to the club by the Lennon family in memory of the late Kieran Lennon who was involved in training many underage teams in the club through the years. We ask as many club members as possible to come along and show their support on the night. Our Bingo continues this Sunday night in the CBS Hall where the jackpot is €1150. On behalf of all in the Club we would like to send our sympathies to the Sweeney family, Kildorerry, Co.Cork on the death of Maurice Sweeney. Maurice was a brother of our club Chairman, Frank Sweeney and had a great interest in GAA. Once again we extend our sympathies to Frank and all his family on their loss. Everyone in the club would like to congratulate popular under 16 player for the club Eoin Kiely on finishing third in the Munster long puck last week. 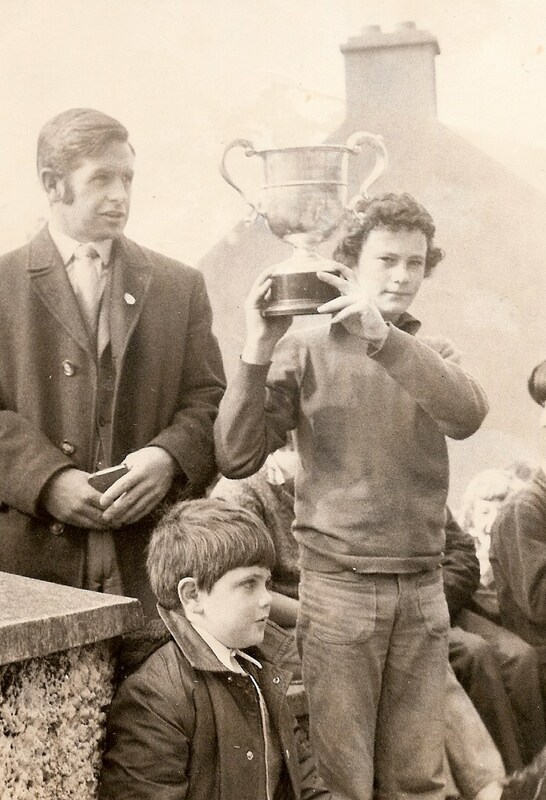 This was an under 16 Munster long puck competition and took place in the Glen of Aherlow. Again well done Eoin. Our under 9 squad travelled to Lismore on Saturday last to take part in a memorial competition. This was a great day out for all involved including players and mentors. Fortunately the lads played very well on the day and came away with victory in this competition. Our under16 football team played two games in the Western Under 16 Football Championship in the last week. First of all we played local rivals Dungarvan in Abbeyside. We played some very good football here and came away with a deserved victory. Then on Saturday we played the western final against Cois Brid and yet again played very well to come away with victory and the Western Championship. A very well done to everyone involved. Our minor hurling team is due to play the next round of their County Championship this week. 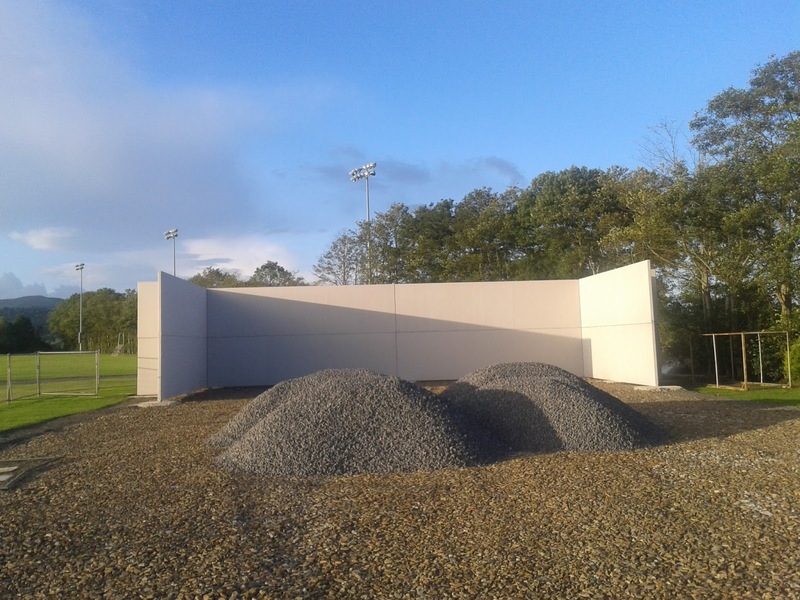 Players will be informed of times dates etc once the fixtures are known after the county minor hurling team’s replay of the Munster Final last night. Our under 14 team’s long awaited County Final appearance is due to take place this Saturday the 27th against De Le Salle. We wish this group and their mentors the best of luck on the day and hopefully they can bring back the cup to the village for only the second time. Please ask locally for the time and venue of this fixture. Click here to see pictures of the Mary and Mollie Tournament held in our club grounds on Saturday last. Click here to see photos of our recent Senior Football Championship Round 3 clash with the Nire at Fraher Field. Many thanks to Seán Byrne Photography for the pictures. The postponed third round fixture between Ballinacourty and the Nire was played on Saturday night last. Result - Ballinacourty 1-15 Nire 0-12. L to R: T. Mansfield, M. Mansfield, J. Kiely. 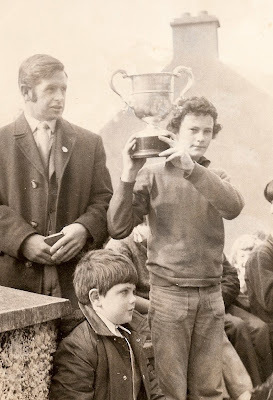 This week's photo brings us back to 1974 and the visit to Scoil Mhuire of the Abbeyside U16 Hurling team that won the Western and County titles that year. Big wins were recorded over Shamrocks, Fourmilewater and Tallow in the Western Division followed by a much tougher, 2-5 to 1-2 defeat of Roanmore in the County decider. Our popular Jack the Joker Fundraiser will continue this Sunday night in Kennedy’s Live where the Jackpot will be €2,192 as on Sunday night Tony Collins was drawn out of the drum and picked card 21 but did not find the Joker, yet he did win €50. Brendan Mansfield and The Morning Club won €25. On Friday evening last we defeated Lismore in the semi final of the Sargent Cup and have now qualified for the final against Mt. Sion. TEAM: S. ENRIGHT, S. O’DONOVAN, S. O’HARE, J. POWER, P. LYNCH, J. HURNEY, J. O’MAHONY, D. COLLINS, S. CROTTY, E. ENRIGHT, G. HURNEY, M. O’HALLORAN, M. GORMAN, P. HURNEY, M. FERNCOMBE. SUBS: E. BERGIN, B. LOOBY, G. BREEN, S. O’CONNOR. We play The Nire this Saturday evening at 7:30 pm in Fraher Field in the County Championship. This Sunday we play Dungarvan at 7 pm in Fraher Field. Our Bingo continues this Sunday night in the CBS Hall where the jackpot is €1100. There will be a meeting of the club committee on Monday night, July 22nd at 8:30pm in the Clubhouse. The first round of the under 13 hurling championship started last Thursday where we played Dungarvan in Dungarvan. With a number of our players not available with holidays etc we had a reduced panel for this game. However our lads played well and we were always in control and won comprehensively. Team: Johnny Treen, Eathan Raher, Eoin Ahearne, Sean Kent, Cian Fagan, Shane Kiely, Ben Flynn, Dathi Brunnock, Michael Kiely, Dean Beresford, Danny Renyolds , Daniel Raher, Senan Travers, James Riordan, Jamie Walsh. Next Under 13 Hurling game – Thursday 18th at home to Lismore. 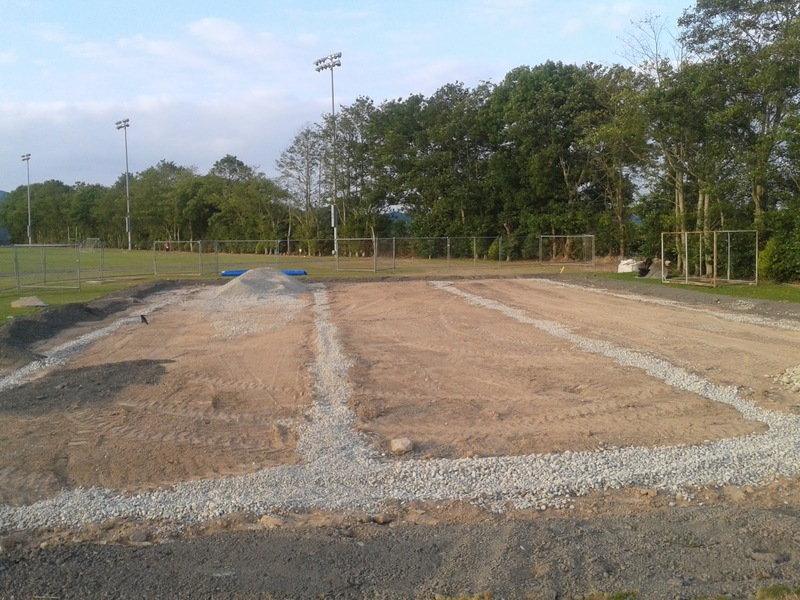 Under 14 Western Final –Monday 22nd Fraher Field v St. Pats. Under 14 County Final – Saturday 27th Walsh Park v De Le Salle. We played Dungarvan in the Western Football Championship on Monday last at the Burgery. At the time of going to print the result of this match is not available but will be included in next week’s notes. There will be no camogie training until the 9th August for all age groups due to the holiday period. There will be a camogie blitz on the 27th July for U8/10. Ritchie will contact all girls by teamer closer to the date. L to R: John Phelan, Brian Beatty, David Cummins (in front), Dermot Melody (background), Derek Hayes, John Organ (Capt. ), Michael Cosgrave, Gary Hurney, John Foley, Nicholas Dwane. 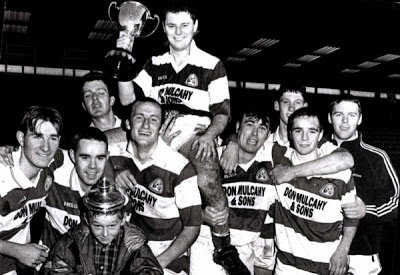 This week's photo shows some members of the Ballinacourty panel celebrating after defeating De La Salle in the 1998 County Intermediate Football Championship Final at Walsh Park. With this win, the team bounced back immediately from relegation from the senior ranks the previous year. 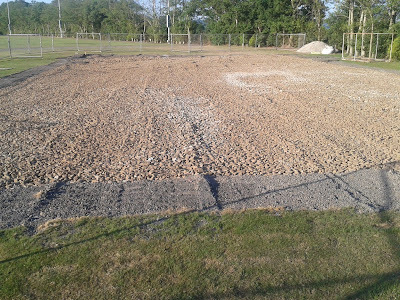 Click here to see pictures of GAA President, Liam O'Neill's recent visit to our club grounds. Many thanks to Dan McGrath / Editorial Images for the photos. Last weekend our under 14 panel headed to Bruff in Co. 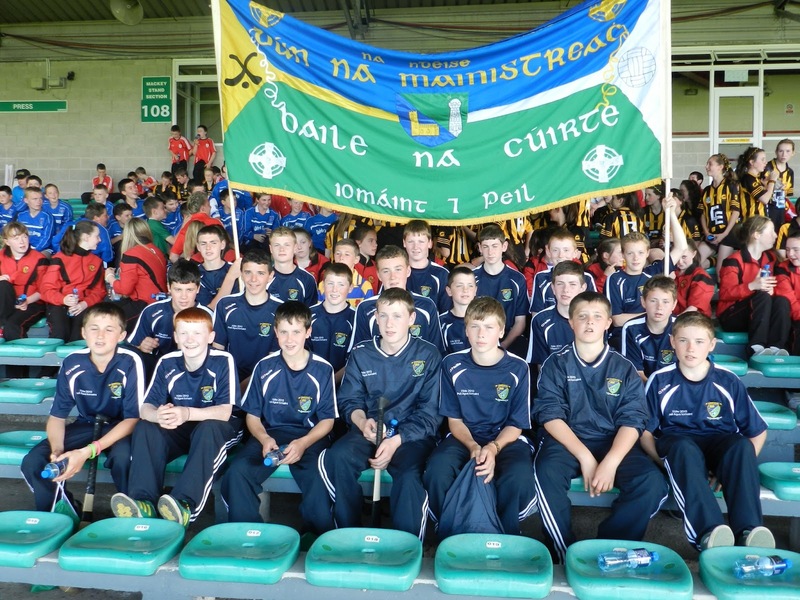 Limerick to represent the county in Division 1 of the Féile Hurling All Ireland tournament. On arrival in Bruff we received our official welcome from the club chairman. The children met the host families and got their accommodation sorted for the weekend. At 3pm we started with the first game of the weekend. This was against Bruff our hosts. This was a close game throughout, with some great hurling displayed. Our backs were particularly good during this game with some brilliant blocking. We were always just holding the edge here though and won 1-9 to 2-4. After the game we had some refreshments and made our way to the Gaelic Grounds in Limerick for the parade. The parade had over 200 teams from all over the country including Hurling, Camogie and Handball and all the teams walked from there to O’Connell St.
Next morning we had an early start to go the short trip to Kilmallock to play them in our second game with 10:00 throw in. In this game we got off to a flying start and were 3 goals to no score up after 10 minutes. We were always in control in this game and ended the game 4-09 to 0-4. We had a short break before our next game against the Wexford champions, St. Martins. This game became an all or nothing game for both teams as St. Martins had also won their first 2 games with the winner going through to the All Ireland Semi Final. We go off to a great start again in this game with some great team work and were 0-7 to 0-0 up at half time. In the second half the Wexford champions came back with huge determination and got a few points followed by 2 goals and we found ourselves 2 points down half way through the second half. Despite the players tiring with the tropical type conditions they really dug deep and soon got back in control and finished well on top to record a 2-10 to 2-3 win. We now had time for a well deserved rest and some refreshments after playing 2 games in temperatures in the mid 20’s, while we waited to hear who qualified from the other side of the draw to make up the Semi Final. At 6:15 pm we took to the field for the 3rd time that day against the Dublin champions, Ballyboden St. Endas. In this game the Dublin team started well and they were 0-9 to 0-1 up at half time. In the second half our boys upped their efforts and were just getting back into the game when Ballyboden got a goal. Despite our lads being exhausted they never gave up and kept battling to the final whistle, where we were beaten 2-12 to 0-4. Our players did themselves, families, club and county proud over the weekend both on and off the field. They will all have learnt from the experience of a lifetime and can reflect of playing in an All Ireland Semi Final and take consolation that Ballyboden St. Endas went on to become All Ireland Champions the next afternoon by beating Douglas from Cork 4-2 to 0-4. Saturday evening we were back to the host club with all our boys showered and gelled for a Barbecue and a Disco. Bruff were also hosting the Antrim Camogie club. This was a very relaxing evening where both camoige and hurling teams, mentors and parents enjoyed the lovely food. We would like to thank the Bruff club for their hospitality all over the weekend. A special word of thanks must go to Liam O Connor based in Limerick who had put in tremendous work over the last few weeks helping organise a lot of the logistics to ensure the boys wanted for nothing over the weekend. Also to Carmel Power our Juvenile Secretary who since we qualified for both Féiles last March has worked extremely hard to ensure everything was organised. Finally a word of thanks must go to all the parents and supporters who travelled to cheer on our young players. The players themselves should be extremely proud of their achievement over the weekend and should bring the learning and experience with them. Under 13 Championship against Dungarvan on Thursday 11th July. Our minor hurling team were defeated by Ballygunner in our first game of the county championship. This was a tremendous game of hurling by both sides with Ballygunner lucky in the end to come away with victory. We played Stadbally on Friday evening last at our club grounds in games for the under 6 and under 7 age group. Both hurling and football was played and was great to see so many present on what was a beautiful evening. For a lot of these kids it was their first game for the club and let’s hope for most of them it will be the first of many. Well done to everyone involved especially the kids themselves.